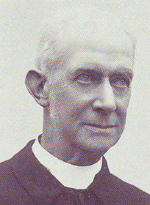 The Reverend Henry Gepp was the vicar of Adderbury from 1874 to 1913. He was very keen that Adderbury had a building to be used for various important village functions - a parish Institute. At the time the small schoolrooms around the village were used for this purpose. With this in mind Gepp organised a number of fund raising events over several years, some of which were held in the grounds and stables of Adderbury House, thanks to its then owners Mr James and and Lady Isabella Larnach. 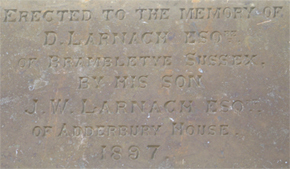 In March 1897 Mr Larnach announced in the Deanery Magazine that he had organised the donation of land by the scholars of New College for the construction of a Parish Institute. In May 1898 Larnach's horse Jeddah won the Derby at odds of 100 to 1. Larnach did so well from this win he was able to completely upgrade the Adderbury House kitchens, and pay for the Adderbury Institute to be built. The monies raised through the fundraising that had already taken place were used to furnish the interior, with a sum left over to endow a maintenance fund. 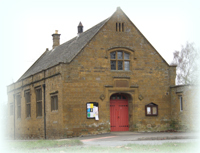 Adderbury Institute has been the setting for countless village events since then, ranging from early instruction and sewing meetings to the present-day activities of the likes of Scouts, Over 60s, parties, Adderbury Theatre Workshop, election voting, and more. The building has been updated a couple of times over the years, with the side kitchen and front toilets the result of extensive fund raising efforts in the 1970s.